Special guest for the day was BBC journalist and author Lainy Malkani, who read from her newly released short story collection, ‘Sugar, Sugar.’ The book focuses on Indian migrant workers in Guyana and has been inspired by her acclaimed two part series for BBC Radio 4, ‘Sugar, Saris and Green Bananas.’ She also hosts the podcast ‘The Social History Hub’ which aims to bring the stories of the migrants to life through capturing untold stories and curating audio-visual exhibitions. Not only did guests hear about her work, there was also an opportunity to get their books signed and ask Lainy questions, which was an invaluable experience for English students. Also taking part in the day were NTU academics Rory Waterman and Jo Dixon who delivered a poetry reading based on the theme. Midlands 3 Cities PhD student Georgia Stabler also delivered a workshop on New York Times bestseller ‘The Kite Runner’ by Khaled Housseni. Lecturers and students discussed cultural identities, migration and slavery in a compelling and eye opening day for students and staff alike. 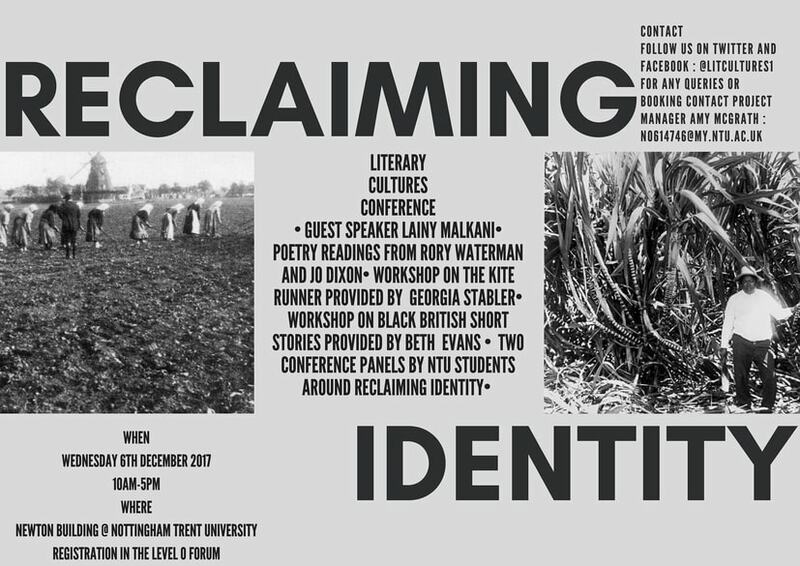 The conference signalled the launch of the students’ journal, which will be published in January 2018 and will also be titled ‘Reclaiming Identity.’ Students have written pieces for the journal as well as each taking a role in the organising and hosting of the conference. 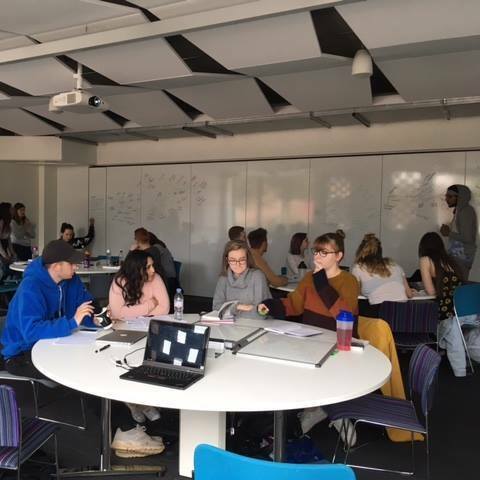 The module, designed and led by Dr Jenni Ramone, has enabled students to gain key employability skills and explore possible career paths such as marketing, events management and publishing.